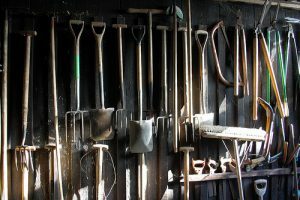 What do gardening and the Christian life have in common? 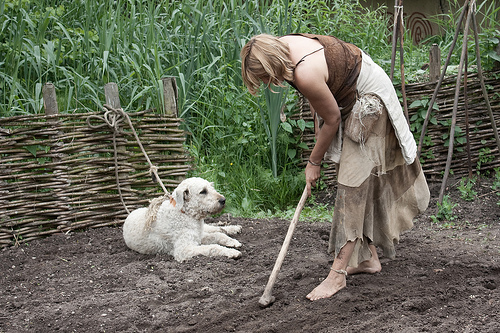 For one thing, they both involve cultivation and tending. If you plant a garden, you don’t simply walk away and come back at the end of summer to harvest the fruits and vegetables. If you do, you won’t find much there aside from a patch of overgrown weeds and dried up sickly plants. One must water, fertilize, train vines, attend to pests and diseases, pinch off dead leaves and stems, and keep away hungry critters that would steal and devour the plants and their tender, young fruits. It is hard but rewarding work. To plant a garden is to invest in the future of one’s well-being and bountiful table. Such work requires love, attention, care, and commitment. “Growing” disciples involves similar effort and process. One doesn’t baptize the person and then only attend to cultivating the disciple a couple of times a year or even an hour on Sundays. It takes the same kind of consistent effort and commitment to grow disciples and strengthen their faith as it does to take a plant from seedling to abundant harvest. Discipleship is not a once-a-week activity but rather a life-long season of living into one’s identity as a child of God. Lutheran pastor Michael Foss wrote a popular book several years ago entitled Power Surge: Six Marks of Discipleship for a Changing Church in which he outlined six fundamentals necessary for cultivating a discipleship environment in the local community of faith. Starting always with prayer, worshiping regularly, reading and learning from scripture, serving, developing friendships with other disciples, and growing in generosity are six basic practices that nurture, nourish, and attend to spiritual growth. Research shows that congregations that cultivate spiritual practices and have high expectations of the community in terms of participation, worship, and service show greater vitality and growth. Pastors and lay-leaders hold a laser-like focus on people beyond church walls. Reeses and her team are finding marked successes and a notable challenge. Congregations who take these three practices to heart are growing and finding renewed purpose to share the good news and reach out beyond their walls in mission and ministry. The challenge comes in sustaining these practices of prayer, relationship, and mission. The worldy weeds of complacency, conflict, and fragmentation threaten to crowd out the new discipleship growth and choke the energy and life out of the beloved community. So, dear fellow spiritual gardeners, we have our work cut out for us. But what blessed, holy work it is! All our Lord wants from us is everything–a complete and total dedication to the task at hand and the call to discipleship. Think of the task before you in images such as the apostle Paul did in his letter to the church at Ephesus. The discipleship life is organic and must be treated as such. All aspects of growth and maturity must be addressed regularly, and we are exhorted to speak the truth in love for the good of unity and growth. It sounds like a daunting task when you think about it, but when attended to daily the work is manageable and rewarding, promising an abundant harvest in due season. Remember that you are not alone. The master gardener is on your side, ready to nourish you with the finest bread of his own body and living water. ” “I am the bread of life. Whoever comes to me will never be hungry, and whoever believes in me will never be thirsty,” Jesus says in this week’s gospel lesson (John 6:35). Now go grab your tools and start pulling weeds and spreading some fertilizer! 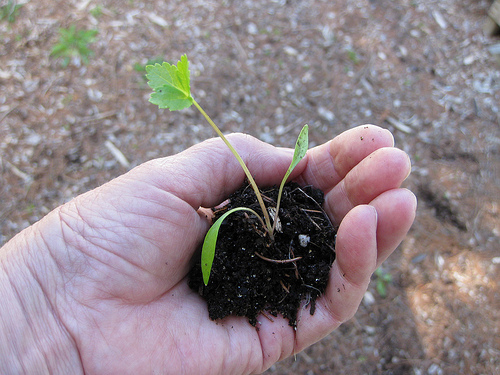 Blessings on your spiritual gardening–your preaching, teaching, and loving those with whom you serve. See, for example, Diana Butler Bass’s book The Practicing Congregation: Imagining a New Old Church (Alban Institute 2004). Chapter four, entitled “Practice Makes Pilgrims,” is particularly pertinent. Reese’s work draws insights from a major Lilly Endowment study of 12,000 congregations representing 49 denominations in eight countries and all 50 states. Click here to read the results of her most recent report to the Lilly Endowment.